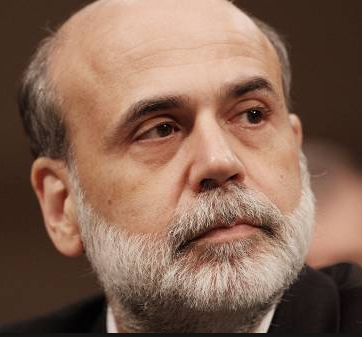 Federal Reserve Chairman Ben Bernanke announced in September that QE3 will continue indefinitely. There was once a time when any amateur economist could determine the country’s solvency simply by obtaining money supply reports from the Federal Reserve and crunching the numbers themselves. Investors could see which countries are receiving U.S. dollars and how much, before deciding to purchase international bonds or U.S. Treasurys. But those days are long over and the world’s economy has become a guessing game even to seasoned monetary minds. It was November 2005 when lame-duck chairman Alan Greenspan, in relative anonymity, announced that the Fed will discontinue publishing the M3 monetary aggregate, effective the following March. The press release also indicated that the Fed would discontinue publishing Eurodollar derivative swaps and all other large time deposits. Several organizations, including the non-partisan American Monetary Institute, accused the Fed of being too secretive by discontinuing M3. A bill known as the Monetary Transparency Act was introduced but failed to get through the House of Representatives in 2008. This discontinuance of M3’s publication alone cannot be blamed for the world’s economic turmoil since implementation, but the subsequent happenings are eye-opening. Inflation and the value of its corresponding currency can only be accurately measured if the amount of money in circulation is known. That is where monetary aggregates come into play. M1, for instance, is the most narrow of measures, taking into account all coins and banknotes circulating in the economy. M2 includes M1, plus all checking and savings account deposits, as well as money market mutual funds. The discontinued M3 was the most comprehensive measure of money supply, providing a near exact number as to all dollars in existence. The M3 doubled from $5 trillion in 1997 to just over $10 trillion in 2006 (the last year the number was published), according to the St. Louis Federal Reserve. Economists can only speculate as to the total money supply today. It’s not as if “bailouts” were unprecedented in the U.S. prior to 2006 when M3 was still published. The Air Transportation Safety and Stabilization Act of 2001 gave the airline industry $15 billion in direct compensation and loan guarantees after the September 11, 2001 terrorist attacks, courtesy of U.S. tax payers. The Financial Institutions Reform Recovery and Enforcement Act (FIRREA) of 1989 gave several failed savings and loan institutions $293 billion, one of the largest bailouts in history at that time. It is the bailouts since 2006 that have not only dwarfed anything preceding them, but make the case for M3 to once again be published. The Troubled Asset Relief Program of 2008, better known as TARP, gave several banking and investment institutions, along with private corporations, a total of $700 billion. Fannie Mae and Freddie Mac received $400 billion that same year, while Citigroup and AIG got $280 billion and $180 billion respectively. This round of quantitative easing by the Fed, known as “QE1,” totaled nearly $2 trillion when it was all said and done. The Fed commenced QE2 in November 2010, buying $900 billion in long-term U.S. Treasurys. QE3 started in September of 2012, with the Fed buying $85 billion in mortgage-backed securities and Treasurys each month since. This current round of money printing exceeded $1.1 trillion total this month, and will continue growing for the foreseeable future. These aforementioned bailouts have added at least $4 trillion to the money supply since the last M3 was published. This of course does not include all the derivative swaps between central banks, which the public has no way of knowing about. Though the federal government uses the consumer price index (CPI) as its inflation measurement, there is no exact way to calculate inflation without the M3. This phenomenon leads to misrepresentations and unusual events on the stock market since inflation measures the purchasing power of money. The Dow Jones Industrial Average once again set a record, closing at 15,460.92 on July 11. The S&P 500 closed at 1,675.02 that same day, breaking its all-time high set just a few weeks earlier. These records do not factor inflation, and even when some economists do, they use the debatable CPI as the rate. The first time the Dow “broke a record” this year was March 5, when it was widely reported that the 14,254 close broke a previous record of 14,164.53 set on Oct. 9, 2007. This record is nominal at best because the money supply has grown by at least $4 trillion since 2008 (and likely by much more than this). The CPI has increased by 10 percent in the past five years alone, and according to Ned Davis Research, the all-time inflation-adjusted high for the Dow is still 11,722.98 set in January of 2000. Apple Inc. (AAPL) epitomizes stock market unpredictability as a result of this money supply mystery. The company’s stock reached its all-time high of $702.10 per share in September of 2012, and reported its most profitable quarter ever in Q1 2013 (Oct. to Dec. 2012) with $54.5 billion in revenues. These feats somehow translated to shares of Apple falling to $485.92 by January 15, or a 31 percent loss in value. Coincidentally or otherwise since the cessation of M3, the U.S. has experienced three rounds of QE, while the U.K., China and Japan have instituted liberal printing policies of their own. Meanwhile Cyprus, Greece and Spain have succumbed to austerity and the U.S. economy has yet to get back to pre-2008 levels. The Federal Reserve is just one of several central banks across the globe that does not publish M3. Russia, China and Iran also do not publish M3, nor do most Muslim and African countries. Most eurozone countries and the U.K. publish M3, as does Brazil, Australia and Canada.